Often the front line of production, the capacity and quality of the Panel Sizing process within a business like ours is paramount. Almost every panel we produce passes through one of our 2 Beam Saw’s at least once during the production process and the finish needs to be flawless but also flexible enough to enable us to handle a wide variety of materials in either large or small volumes. Organising panels through these machines has been made much simpler since the construction of the Schelling Storage Retrieval System. 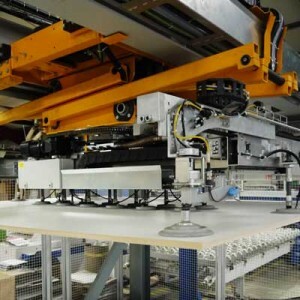 Fully automated by robot, this system can organise different panels chaotically and retrieve the correct panel for the intended job at will. The machine then places the panel on the saw that will be most efficient; making this production process as lean as it has ever been. 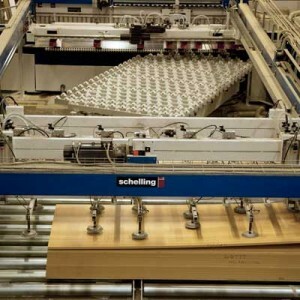 The Schelling VS-16 system can store and retrieve panels from 320m² of designated storage space. 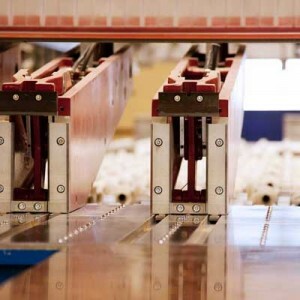 The system is fully automated by robot and can retrieve any panel from any position. It understands the specification of the panel it is storing and remembers its position for future use. This allows us to store panels chaotically further optimising the space. Using such a sophisticated system eliminates manual handling and the likelihood of damage to delicate surfaces. The Schelling FTH-6 beam saw is used for more intricate cutting. This machine is fed directly by the storage retrieval system increasing safety and the requirement of manual loading. The saw is capable of working accurately with a multitude of materials from solid grade laminate to polypropylene. We have a second FTH-6 saw which can be fed either by the storage retrieval system or rear loaded by hand. This creates a flexible setup, allowing us to organise and optimise our cutting schedules. The Schelling FH-8 rear loading panel saw is used for bulk cutting of material. 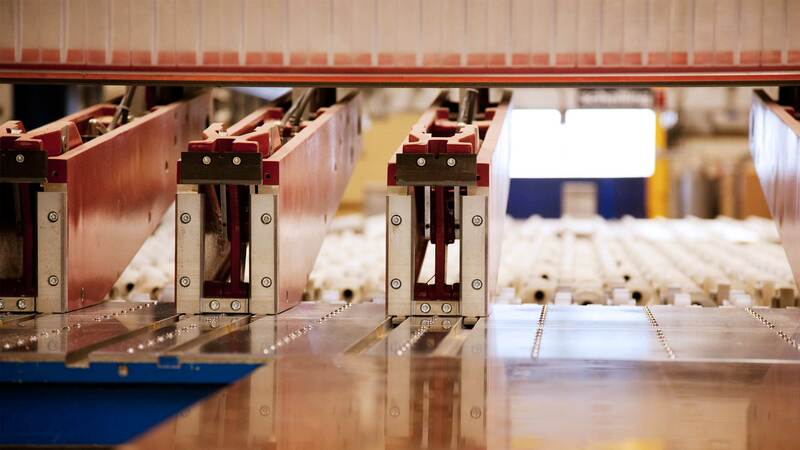 The layout of this machine in conjunction with our storage retrieval system allows for flexible loading including the handling of sensitive laminate overhangs. This technology increases productivity and work flow whilst decreasing downtime. 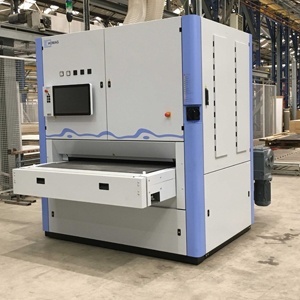 This machine can calibrate a whole host of panels from 3mm thick through to 160mm and an overall width of 1350mm. We pride ourselves on delivery high quality value for money products, and with this addition to our fleet of machinery we are now able to continue to offer you the highest standards on all our product offers.